So your passion is hunting! So you need the right clothing to wrangle ’Ol Mossy Horns. 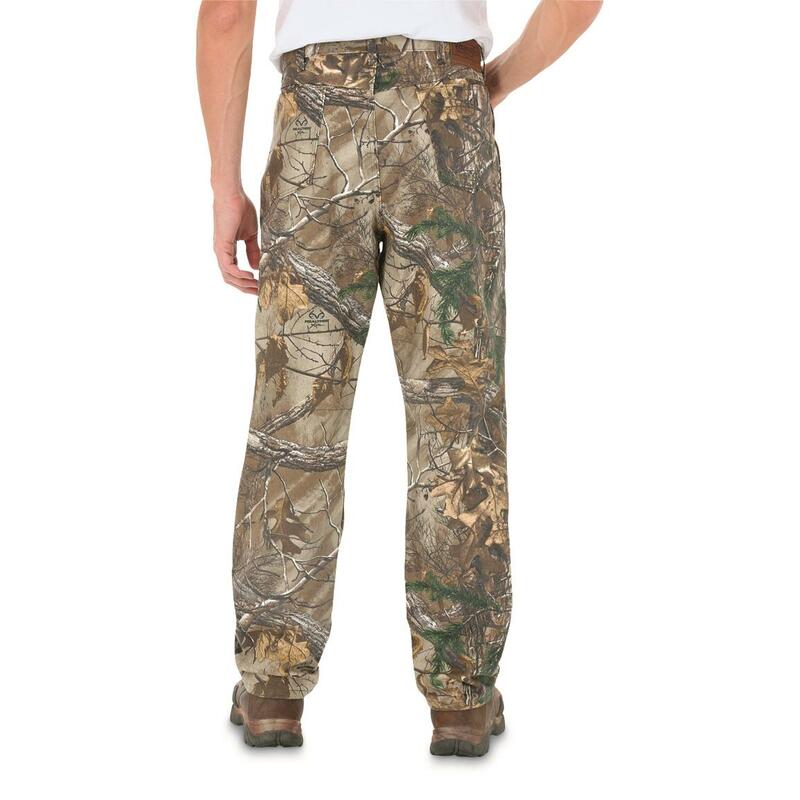 Presto, these Men's Wrangler Camouflage Jeans in Realtree Xtra® are ready to roll this season. The quiet, 100% cotton is all-day comfortable. And you'll blend in like another brush heap so deer won't even know you're there. Truly a must-have pair for avid bowhunters! Are you hunt-ready? Better order ONLINE today! Wrangler ProGear Mens 5 Pocket Camo Jeans, Realtree Xtra is rated 4.7 out of 5 by 99. Rated 5 out of 5 by Cindys man from exceptional item Very Good pair of Wranglers, I have had two pair for a couple of years and love them still. I just bought another pair hoping they were the same pants and they are. The sizing is still off but shrink to fit me OK. I am almost square, I wear a 34x33 and order a 36X32. When you first put them on you will think they are way to big and extremely long. Turn them inside out then wash and completely dry them on hot in the dryer. My old ones still fit great even now. They are my 'go to jeans' all year long. 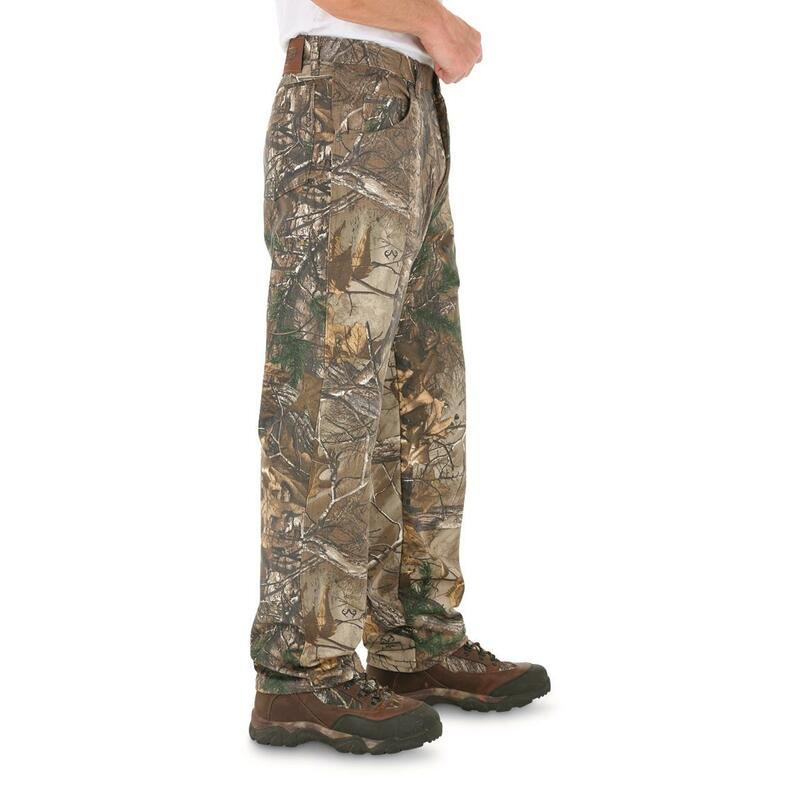 I do get the "been hunting" from people all the time, I just reply that they are the most comfortable jeans I own. Don't forget to turn them inside out to wash and dry, the outside surface of the material will not show wear as quickly. It may take several washing/drying to shrink to your liking. Rated 4 out of 5 by Ranger Rich from Comfortable and fit just right! 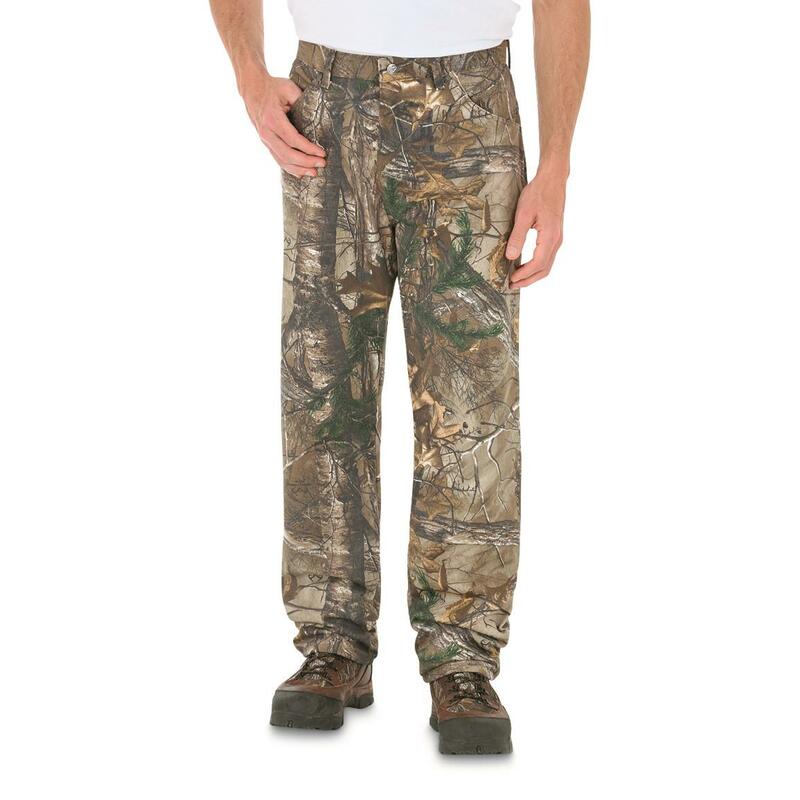 These jeans really fit me well, great waist rise, no bulky seams, and the perfect length for me... a bit pricey, but you pay for the Realtree pattern, which is the best! Rated 5 out of 5 by Mogie from NIce material, washes up nicely, very comfortable. Rated 5 out of 5 by Nase from Great customer service I had some issues with my order going thru, I received an actual phone call from wrangler customer service to complete the order. I was amazed. Rated 4 out of 5 by Mikie from I would buy again but shorter length Use to hunt in-- The only thing is that if you order you need to order a shorter length than you wear--I wear a 32 length so that is what I ordered --they are about 4+ inches to long and that makes it bad cause you cannot helm them to look like new pants. Rated 5 out of 5 by Jim H from Great price Great quality, comfortable. Roomy flame-resistant Jeans with cowboy style.